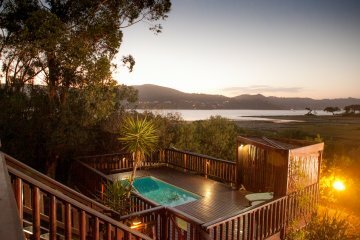 Surrounded by the Knysna Lagoon, the four star accredited, Luxury Lodge, offers 270 degree views of the breathtaking estuary. The lodge can sleep up to twelve people and offers a variety of flexible accommodation choices - five luxury suites and one self -catering unit. 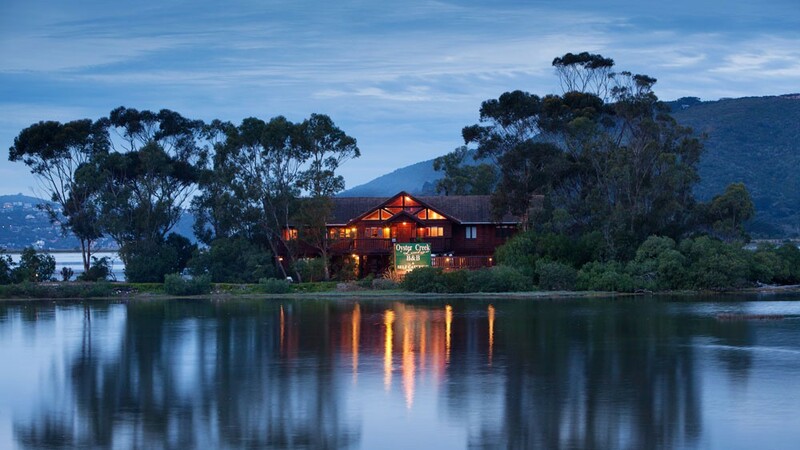 All of the lodge’s suites (one twin, two double rooms, one queen and luxury/honeymoon suite) are lagoon-facing and open onto the large wooden balcony. 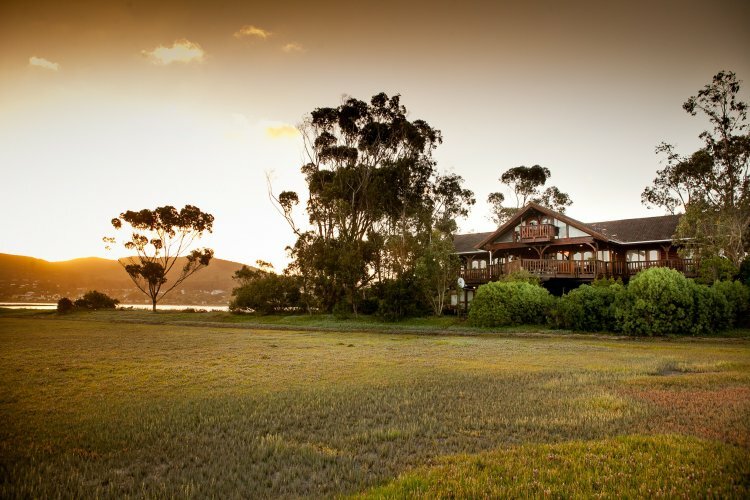 Oyster Creek Lodge is ideal for honeymooners and local travellers wanting to relax and enjoy the magnificent views of the Knysna lagoon. 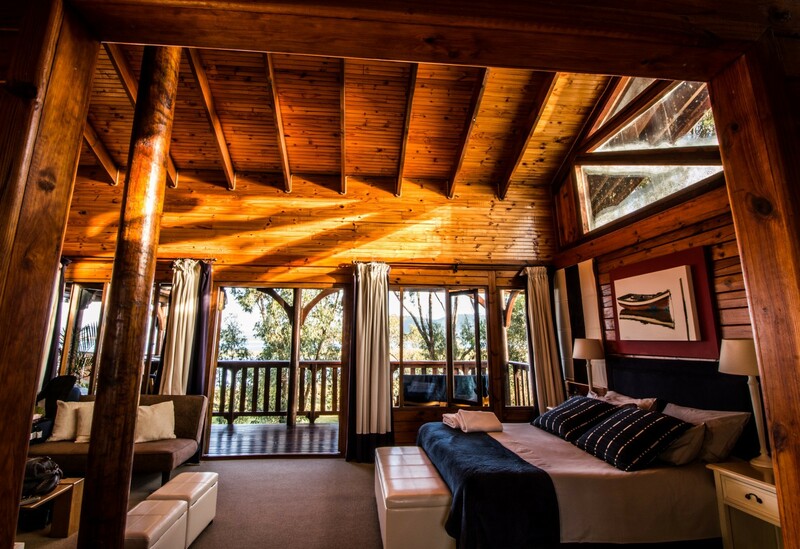 The inspiration for Oyster Creek Luxury Lodge interior is largely drawn from the surrounding natural beauty of the lush Knysna Forests. Spend your evenings lazing around the fireplace, or enjoying a traditional South African braai outside. 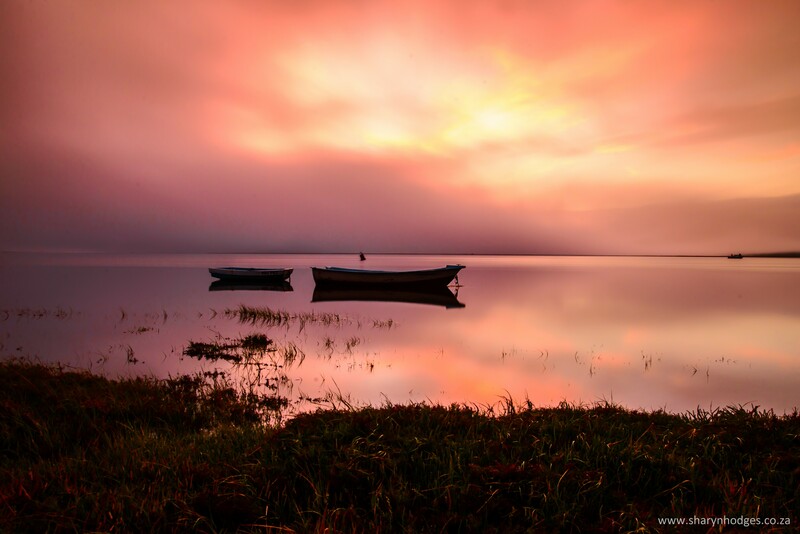 Oyster Creek Lodge is known for its genuine South African hospitality, offering generous breakfasts and all the modern conveniences for those self-catering guests. Situated only 2.5kms from the centre of Knysna, within easy reach of all restaurants and other garden route activities.